For reasons unknown the official Twitter account of Julian Assange...has been deleted. The Internet Archive—or someone availing themselves of its services—appears to have been preserving snapshots of Assange’s account once every hour since September 18th of this year. 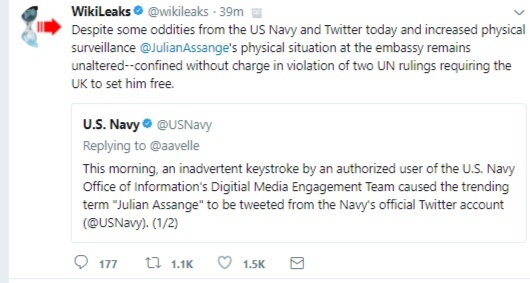 Based on that information, it’s likely the @JulianAssange account was deleted between midnight and 1am GMT. Assange’s account came back online on Monday morning (albeit with a fraction of his former followers) with no explanation about the account’s disappearance and the following illustration from 2010.